My mind was focused on this meat for weeks. Focusing on my training lifts as if I was on the platform. I knew it would be a dogfight for gold with Geoff Yee lifting as a 94kg lifter as well. When it came time for warm ups, I did not want to look or talk to anyone. I was on a mission. I was focused. I attacked the weights and owned them in my mind. I only slightly doubted myself once and that was on the last clean and jerk attempt. That single moment of doubt snuck in and killed my lift. Next time I will not let that happen. Anyways, at this point I had a 10kg lead for gold but Geoffrey Yee had 1 attempt left. After a missed attempt of 165, followed by an iffy 165, he made a gutsy call and went for gold with a 175kg clean and jerk....And of course he had to make it. I was very mad that I lost on bodyweight as Geoff tied my total but I could not help but admire his courage. Competition brings the best out in people. On Saturday December 14th(Tomorrow) I will be competing at the BC provincial championships in Surrey. I will be competing in the 94kg category. I have tapering and preparing for this meet and hope to put up some new competition PR's. I am down to 93.6KG's right now. I have had massage, chiro, and I am mentally prepared. 1- You've done a lot of sports: wrestling and strongman for example. 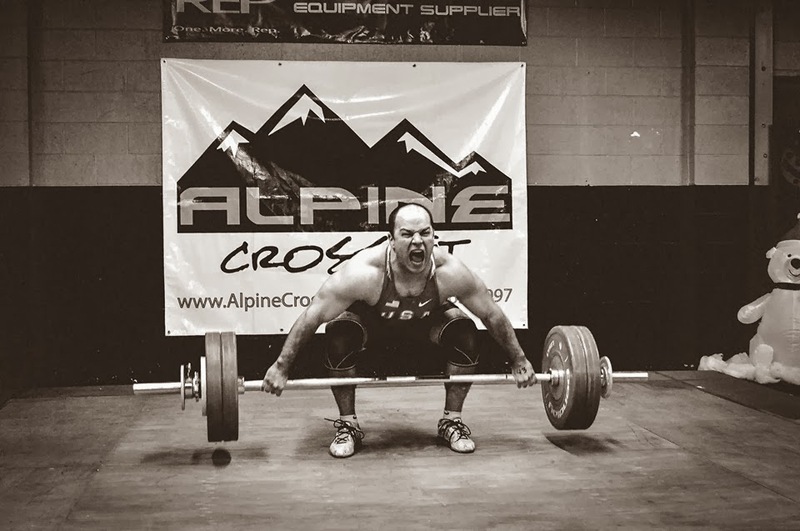 What inspired you to try Olympic weightlifting? I always loved lifting since I was in 6th grade when I started tagging along with my older brother. I used to steal his pre-workout supplements because I thought they'd make me big like him, haha! He could bench 300+ as like a freshman or soph in high school so he was a monster. MY only goals were to beat his #'s growing up. That was it. So after wrestling went into strongman because of the late Jesse Marunde. Did that for 3.5 years, then was sick of weighing 300lbs and made the drop. I didn't have intentions of doing weightlifting when losing the weight. I just started to feel more athletic so I tried out weightlifting! 2- What keeps you going? I've wasted a ton of time in weightlifting. Being unfocused, selfish, and hard headed. What keeps me going is to reach my potential and to actually lift the biggest weights I am capable of. I'm sick of holding myself back. 3- You have trained at a lot of different clubs. Broz, OTC, and Cal strength. What place is your favourite in terms of atmosphere and philosophy? Can I even answer this question without making a bunch of people mad? Ha. OTC was my favourite. Zygmunt Smalcerz is the greatest coach in the world IMO. But, I did love being at Broz's a lot, and also learned a TON from the athletes at Cal Strength. In terms of an overall experience the OTC was life changing. But I really learned a ton from each gym. At the time I didn't learn it because I was too busy blaming others for my failures. Now, I'm in a position where when I reflect I've learned all the lessons. 4- Must have supplement? HMB! And Creatine from Top Secret Nutrition. It(HMB) really just helps in my recovery. I feel like I am much fresher for each workout when I take it. The most important thing is your dosage. They have charts on their website to make sure you take the right amount for your bodyweight. 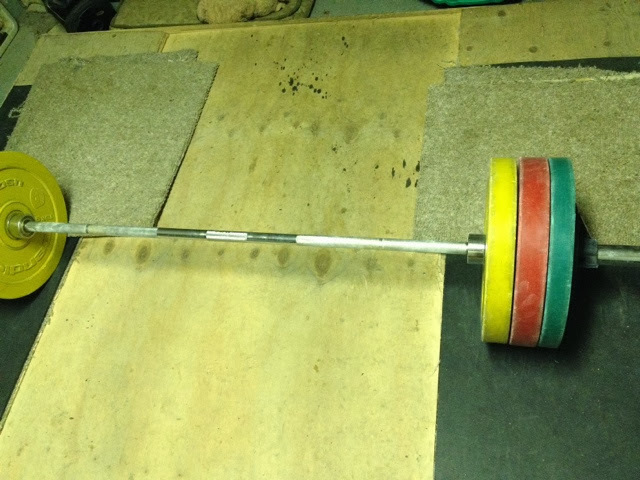 7- Favourite thing about garage lifting? You figure it out yourself. You learn to love your own company & work things out in your mind. Both in terms of lifting and in life. 8- Diet philosophy? Eat to perform! Eat everything. Carbs, protein, and fats. Nothing is meant to be 100% avoided. 9- What manufactures PRs? Willpower & consistency. Listen to your coach. Keep your head down. Stop reading and start doing. Believe in yourself. 10- What is the Longest you went without a PR? 14 months...and been in the sport less than 4 years. Still stuck with it though. 11- Goals in weightlifting? Win the Arnold 2014. Thank you Greg for the detailed instructions on the jerk block building tutorial. I love these jerk blocks. You can customize the height you want by using different size blocks or removing blocks. 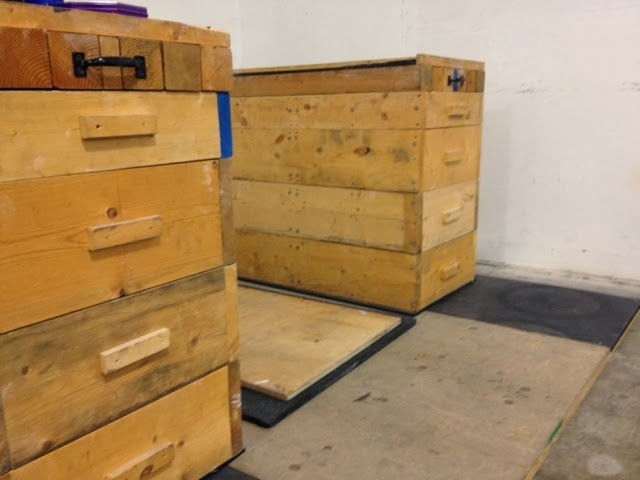 You can also use these blocks for doing pulls or the lifts from knee height by just using the top 2 layers. They are not cheap though, there is about $350 worth of material and a full days labour invested in these blocks. The main boxes are light to move around and stack but the top layer of 4x4's are kinda heavy. I don't have an issue moving them around but if you don't quite have mountain man strength yet (haha), you might need a partner to help move the top layer. 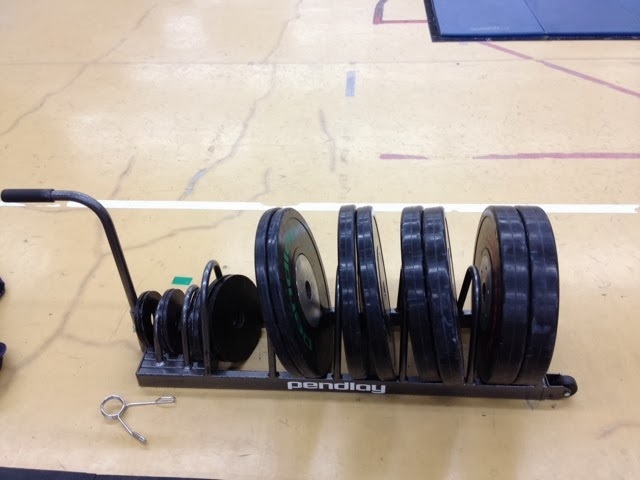 The bumper plate rack from Pendlay is solid. You can move it around loaded although it is heavy. My only complaint is that they could have made it fit the change plates better. I don't know what the manufacturer had in mind for spacing but it is not specifically designed for different plate widths. You can see the 25's are snug but the 10's have room for more. This unit is pricy but it is solid. 2 pieces of 3/4" plywood. 1 piece of 1/2" plywood. 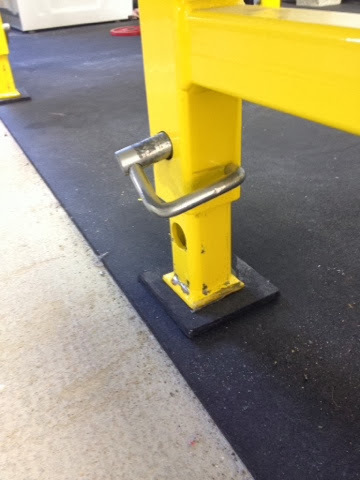 2 pieces of 4x6'x1/2" rubber mat. 1-Lay 2- pieces of 3/4" plywood sidewise. 2-Screw the 1/2" plywood in the center on top of the 3/4" plywood. 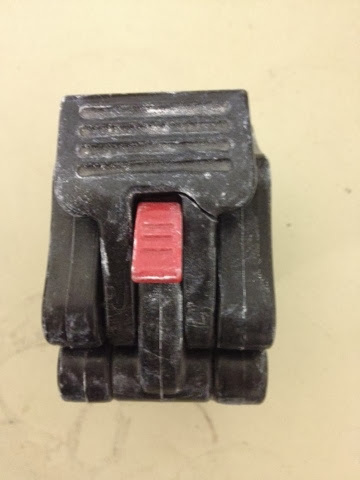 3-you now will have a space along the sides for the 1/2" rubber mat. Install the mat by cutting it to size. 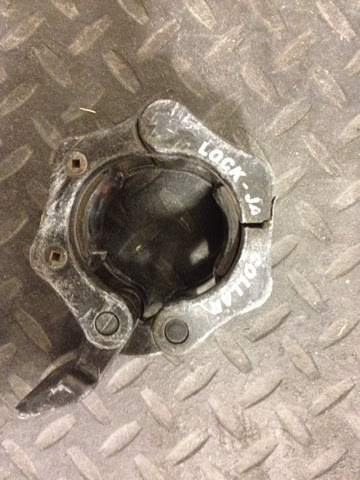 Make sure the screws are not where the weights will land. 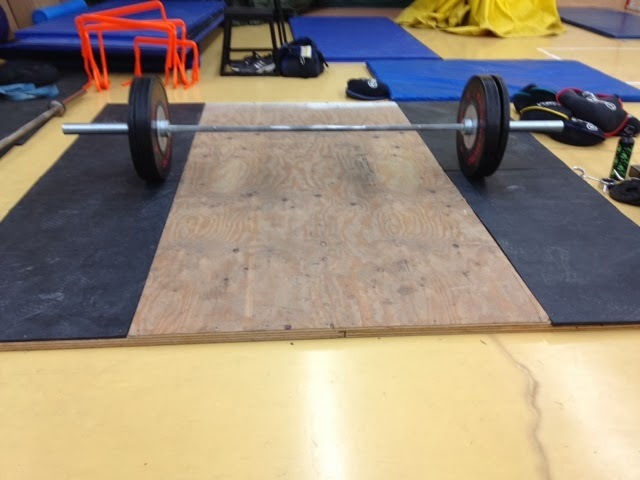 Note: if using a junior or female bar you will need to make the center plywood 3' wide and te rubber mats 30" wide on the side. 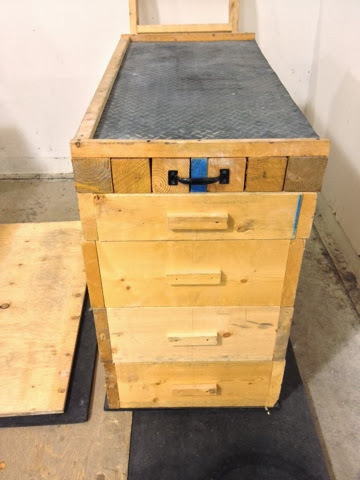 -Garage training (I know about this). -Olympic hopefuls (to tell you the truth, I had no idea what this meant). -Coming back from injury (have this in common too). -Training at Average Broz Gym during the USADA raid. -Training at the Olympic Training Center. Notice in the above picture you can see the pin dislodged from the previous set. If you need to adjust the height, 1 person needs to hold up the table while the other person adjusts the pin. 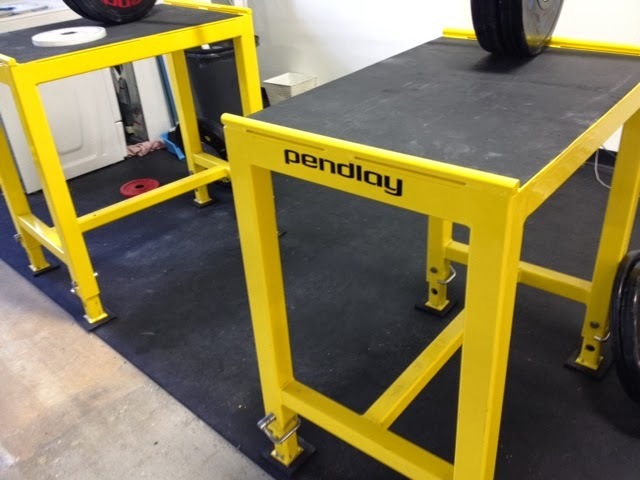 Here is a video of me jerking 175kg from the Pendlay Jerk Tables. I wish I would have dropped the weight on the table so you can hear the noise. Perhaps next time I use them I will do this. Not suitable for Olympic Weightlifting.